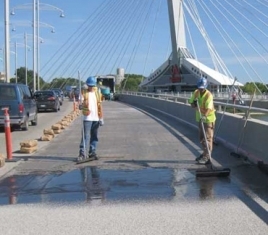 Transpo’s Bridge Preservation Materials are known for the maintenance, rehabilitation, and preservation of bridges. These materials have been used on new and existing structures for decades and are a part of a proactive strategy to obtain a 75-100 year service life. 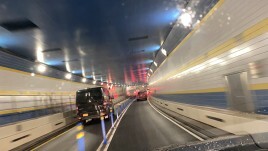 Transpo’s Visi-Barrier® has been a part of the building and preservation of a number of significant tunnels in the United States. It is ideal for use as bench wall, corrosion and impact protection. Transpo will work with you to create modified shapes depending on the engineering plan and design.